Last night, approximately 60 CASA volunteers, staff, board members and community members attended CASA’s Annual Volunteer Appreciation Event. Godfrey Funeral Home Owners Val and Herb Godfrey are always looking for ways to support CASA for Children, whether through donations, time or word of mouth. Val currently serves on our Board of Trustees and Herb was a former board member. We appreciate all they do for us! Congratulations Val and Herb! Nominated by our CASA Volunteers, Alicia received our Division of Youth and Family Services Caseworker of the Year award. A Caseworker in the Cape May Local Office, Alicia is always willing to go above and beyond on her cases and works closely with the CASA Volunteers. Thank you Alicia for everything you do! 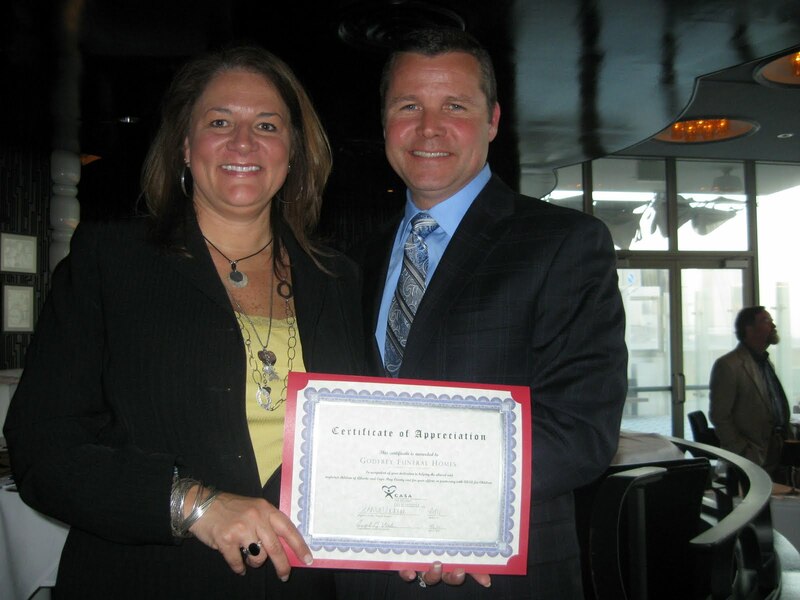 Nominated by our CASA Volunteers, Dr. Nina was recognized for her willingness to help train CASA volunteers. Thank you Dr. Nina for everything you do! These CASA volunteers received the Presidential Service Award for volunteering for 500 hours or more. Thank you Carol, Jack and Lynne for all the hard work on behalf of abused and neglected children. These CASA Volunteers were honored for completing CASA’s 201 training, an advanced training for CASA volunteers. These two volunteers received the outstanding STAR volunteer award for their administrative support. Kay and Melissa help in the office work and together have contributed more than 130 hours of their time. Thank you Kay and Melissa. Before being moved to the criminal bench, Judge Baker was a family court judge and often interacted with our CASA volunteers. 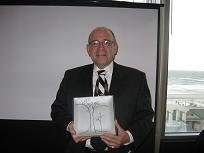 Judge Baker was honored for his devotion to children in need and his continued support of CASA. Thank you Judge Baker. And last but not least, a BIG THANK YOU to all our volunteers who donate their time to helping abused and neglected children! April is Child Abuse Prevention Month, a time to raise awareness about child abuse and neglect and create strong communities to support children and families. In celebration of the month, CASA for Children of Atlantic and Cape May Counties is hosting a three-week CASA volunteer training course beginning April 26 from 5 to 9:30 p.m. The 30-hour, 2-day a week course gives individuals the necessary skills to advocate in court on behalf of abused and neglected foster children. This month is a time to reflect and raise awareness surrounding our nations most vulnerable citizens – children. Nationally, 6,000 children enter the foster care system every week due to allegations of abuse, neglect or abandonment. Over 700 children in Atlantic and Cape May Counties live in foster annually due to abusive or neglectful parents. In support of National Child Abuse Prevention Month, the U.S. Department of Health and Human Services, Children’s Bureau, Office on Child Abuse and Neglect, Child Welfare Information Gateway and the FRIENDS National Resource Center for Community-Based Child Abuse Prevention have created Strengthening Families and Communities: 2011 Resource Guide. The guide, designed for service providers who work throughout the community to strengthen families, is available online. Throughout this month, CASA for Children will be posting on Facebook, Twitter and on our blog about things you can do to raise awareness and help prevent Child abuse, neglect and abandonment. For more information about child abuse prevention programs and activities during the month of April and throughout the year, contact CASA for Children at (609) 601-7800 or visit www.AtlanticCapeCASA.org.